Hello lovely people of the internet! I hope you had a lovely Christmas. I cannot believe it's over already, just like that! I don't know about any of you but my wallet is painfully low and is in need of some love & care. It has been a while since I've bought anything for myself, it's been difficult but when living on your own your priorities change up a bit. I've been shopping at thrift stores for as long as I can remember, I love going in and not having a clue what you might find that day. Some days are luckier than others just always remember to check every section! Yes, even the men's section. You never know what you might find hidden in between that old 80's Jean jacket and that "I don't know what anybody was thinking when this was created." T-shirt. 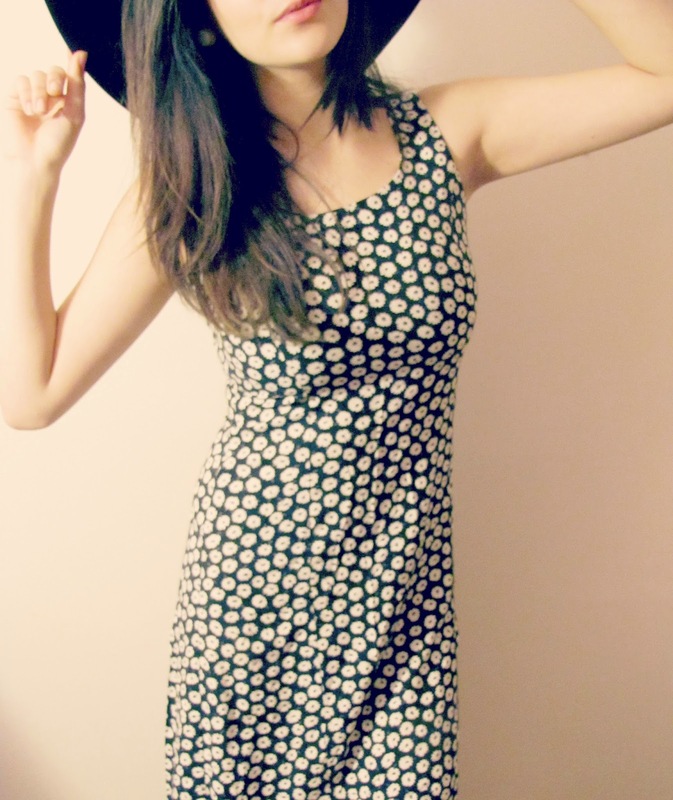 I found this super 90's daisy dress for $6.99 at the thrift store which was right in my budget! Of course I couldn't leave it behind and as a result, I am absolutely in love with it. I adore the high neck (which is something I normally don't wear) and the mid length. Remember to treat yourself every now and again, try avoid shopping malls and check out your local thrift store. You never know what you might find. "One man's garbage is another man's treasure."